All are welcome, age 16 plus with an interest / role in the third sector. It's designed as a ‘starting point' for people new to leadership roles, or new to leadership learning. 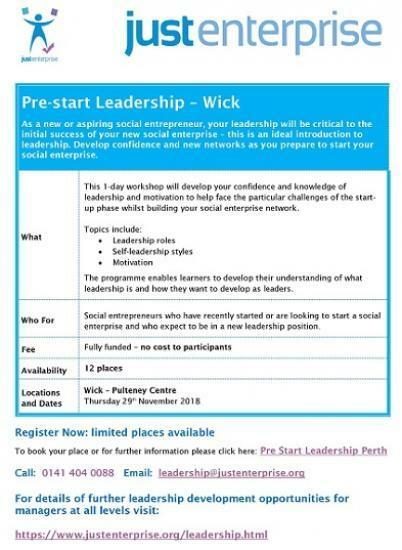 This 1-day workshop will develop your confidence and knowledge of leadership and motivation to help face the particular challenges of the start-up phase whilst building your social enterprise network. The programme enables learners to develop their understanding of what leadership is and how they want to develop as leaders. Social entrepreneurs who have recently started or are looking to start a social enterprise and who expect to be in a new leadership position.